Picturesque views from this Mullett Lake property! 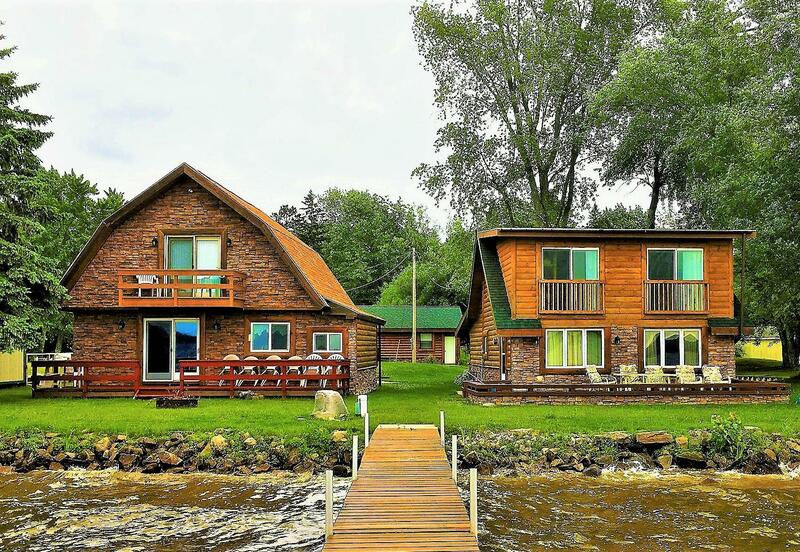 Fantastic opportunity to own TWO CABINS with 140 feet of Mullett Lake frontage and another 157 feet of frontage on the canal. Enjoy a cocktail or a lemonade at the picnic table or at the fire pit, both located on a park-like point where the lake and the canal meet. Cabin 1 features all new knotty pine interior with one bedroom on main level and two on second level.Cabin 2 has one bedroom on main level and large loft area with second bath and balcony on second level. Perfect for family gatherings or for waterfront investment property. 80 ft T dock & most furnishings included. Additional mooring at seawall in canal. Brand new septic drain field May 2018. List of personal property for sale available. Call today!